Annoyingly the weather on this day was, once again, overcast so I look terribly pale, but hey what can you do? I actually quite liked how the pictures turned out - there was a slight edginess to them which meant that they fitted in with the vibe that I was trying to attract. This post was originally inspired by a bunch of Fall Out Boy songs that I was and still am really obsessed with, especially the one called 'Phoenix'. The rock music genre is one of my favourites and I have somehow always channeled the all-black outfits that are so commonly associated with the many rock/punk/alternative figures in today's society. 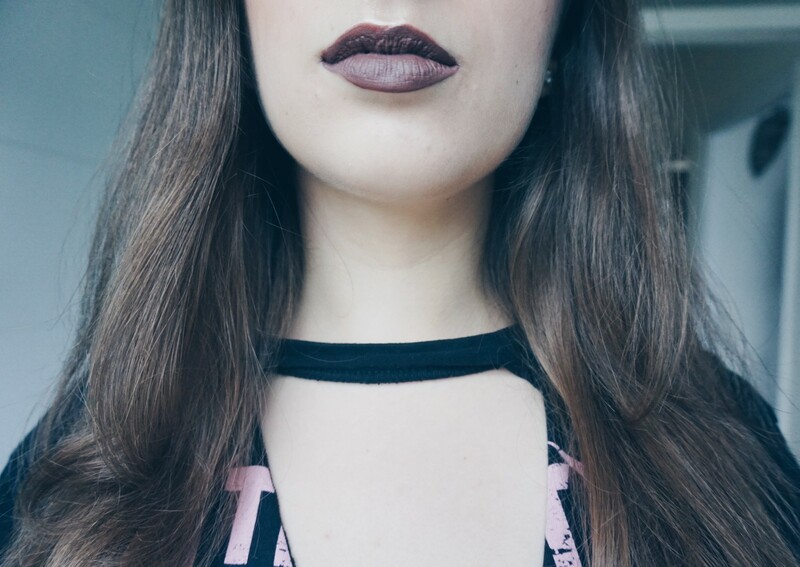 Oddly enough, my two consecutive days of wearing all-black led to me sinking deeper into the darker shades of the colour spectrum and choosing the Anastasia Beverly Hills liquid lipstick in 'Sepia' to vamp up an otherwise basic outfit. 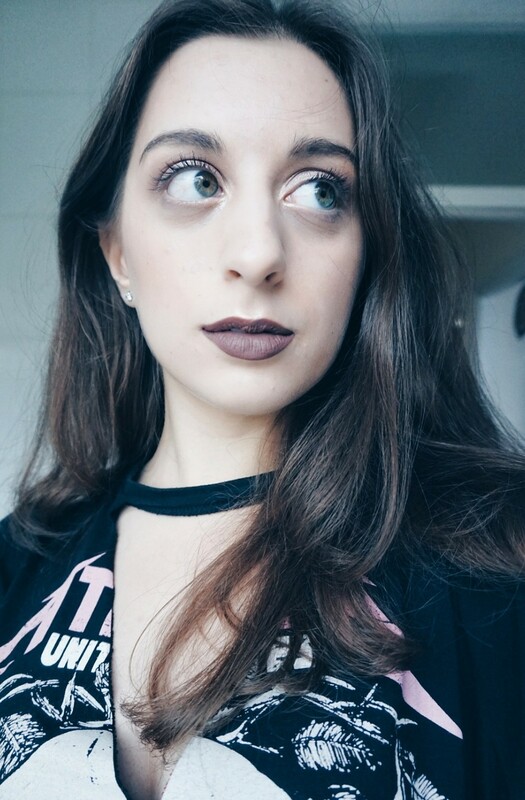 I must say that dark lip colours can be quite intimidating to wear but it's honestly how you incorporate it into your makeup look that makes all the difference. 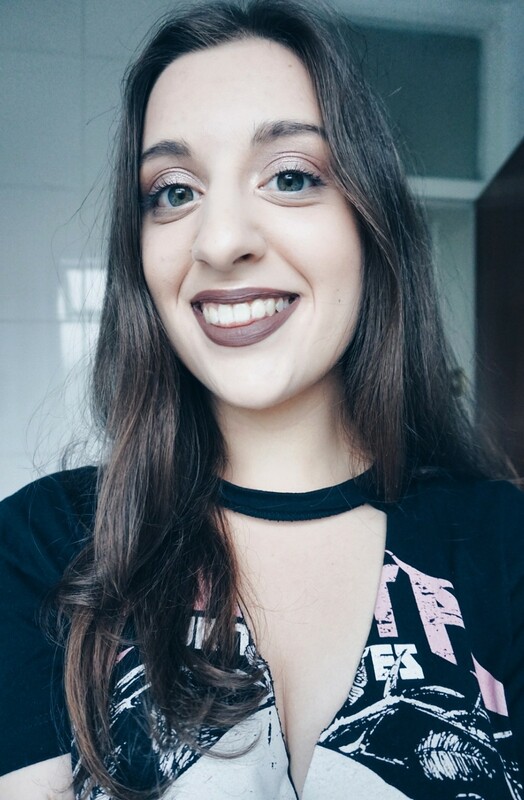 The key is to keep your eyes simple and allow the lips to do the talking, although that doesn't mean you have to be too basic - you can still rock those gorgeous lashes and eyeliner with a dark, bold lip so there's no need to panic! 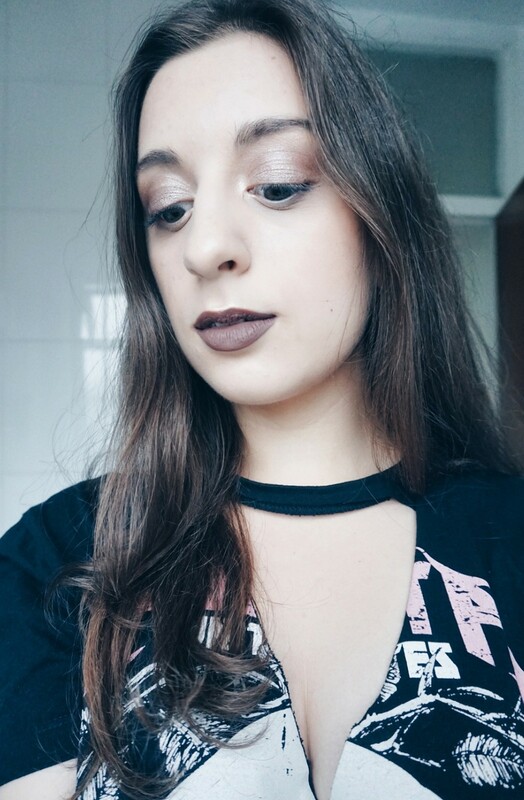 I hope that you have taken some inspiration from this beauty post and try out a dark liquid lipstick like 'Sepia' soon, it's truly worth it! P.S. Let me know in the comment section down below if you're into rock music and if so, what artists and/or bands are you loving at the moment? I can't wait to hear about your favourites!